Bulgaria will consolidate the biggest state-owned energy companies into a holding company to strengthen its position on the European market, Prime Minister Sergei Stanishev said on Sunday. The government will link Bulgaria's dominant power utility NEK, its dominant gas company Bulgargaz, its largest coal mines Maritsa East, the country's largest thermal power plant Maritsa East Two, as well as its sole nuclear power plant Kozloduy. "The government has decided to set up a Bulgarian energy holding," Stanishev told reporters after a two-day meeting of the ruling Socialist-led coalition in spa resort in southern Bulgaria, state news agency BTA reported. "There is a wave of consolidation of the energy sector in the European Union and for Bulgaria to stay competitive, such a consolidation is necessary." The holding should be operational by the end of the year, he said. Its assets will be 4 billion euros ($5.80 billion), and the expected annual revenue 1.8 billion euros. 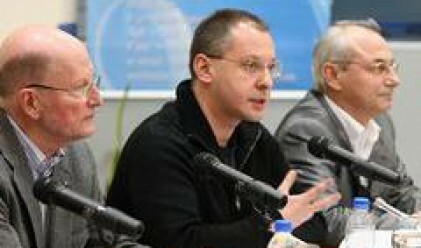 The new joint holding company will allow the Balkan state to invest in the neighboring countries and help building and financing of the planned 4 billion euros, 2,000 megawatt new nuclear power plant at Belene, Stanishev said. Sofia's move to lump the state energy majors together could come at odds with a European Union Commission plan for breaking up Europe's big gas and electricity companies to open markets for more competition. Bulgaria, along with seven other EU countries, supports an alternative proposal that offers full functional separation of supply activities from network operations but without splitting ownership of utilities' infrastructure. The commission's energy chief has said he hoped for an agreement in June. NEK owns the high voltage power grid and is the dominant power exporter, while Bulgargaz owns the entire gas network and is a shareholder in trans-Balkan oil pipeline Burgas-Alexandroupolis and gas pipeline projects Nabucco and South Stream. The 2,000 megawatt nuclear power plant Kozloduy and the 1,450 megawatt coal-fired plant Maritsa East produce more than half of the Black Sea country's electricity. The ruling coalition expressed support for the privatization of Bulgartabak Holding and Toplofikazia Sofia. The coalition finds the privatization essential for them in order to stay competitive.